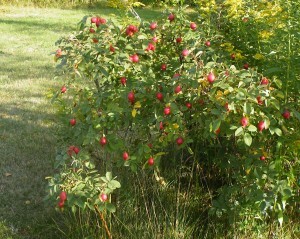 Rosehips on Rosa rugosa wild bush. 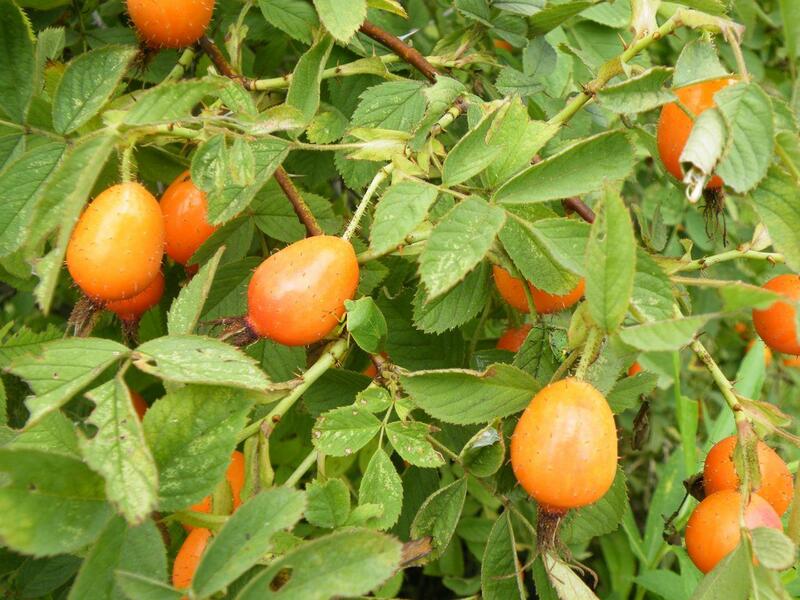 Rosa rugosa naturalizes easily and can become invasive if not kept in check. 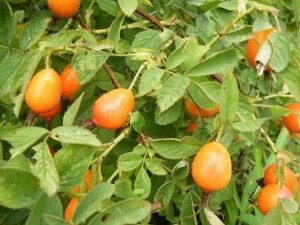 Most of our current producing bushes are the result of seeds dispersed by wildlife. The only care we give them is mowing around them occasionally to help locate them, to monitor the new ones and make it easier to pick the fruit. 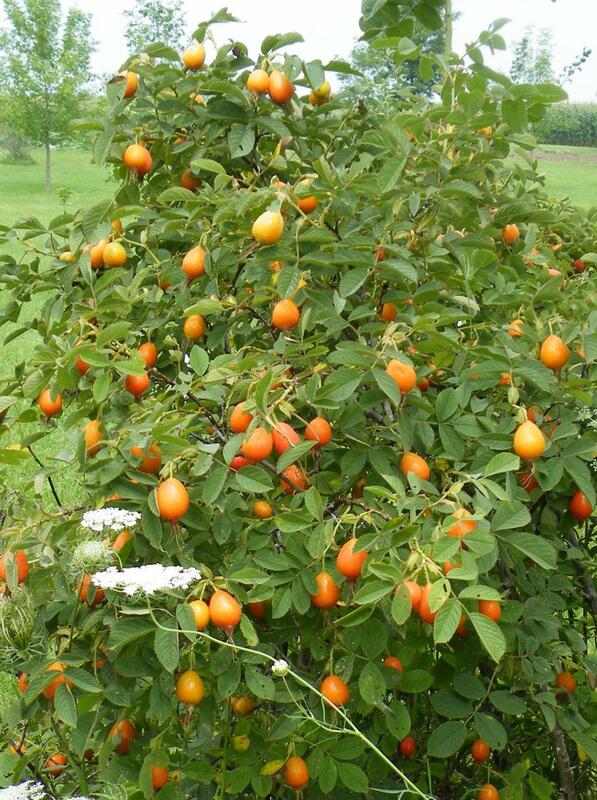 As the bushes mature the previous years fruiting canes die out and need to be removed. If the new bushes become more prolific than we can manage they are mowed down. Otherwise this variety will produce a dense thorny hedge that will take over the landscape. Rosa rugosa is susceptible to powdery mildew a common problem where days are hot and nights are cool and humid, as it is here along Lake Michigan.